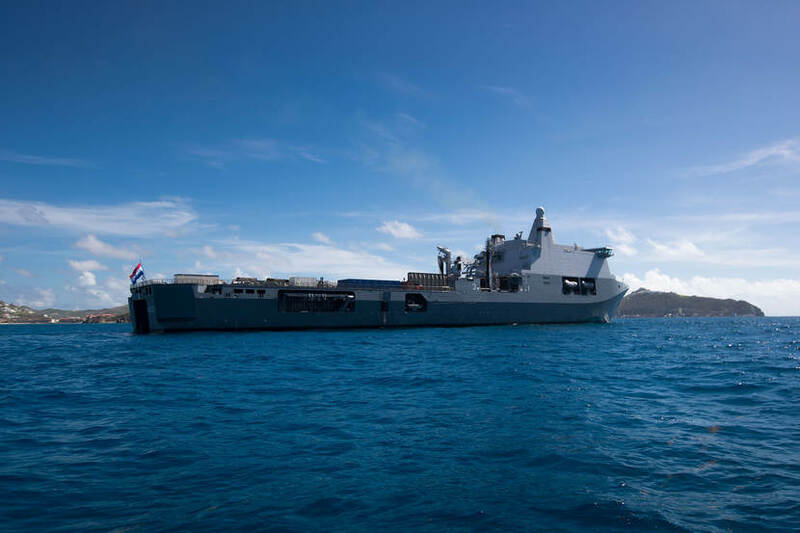 HNLMS Karel Doorman is moored in the port of St Maarten as of today. 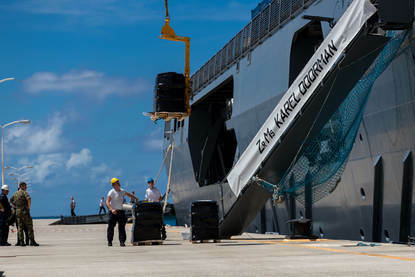 The naval vessel has brought more than a thousand tonnes of relief goods to the island. Communications equipment, vehicles, toilet paper, school supplies and lots of water are only some of the items being unloaded from the ship. Navy and army personnel will be working all-out in the next few days to unload the enormous volume of goods according to a detailed cargo unloading plan. The entire operation is highly organised. This means that organisations like the Red Cross, the Ministry of Public Housing, Spatial Planning, Environment and Infrastructure and the police will be picking up their consignments according to a strict schedule as of Monday afternoon. 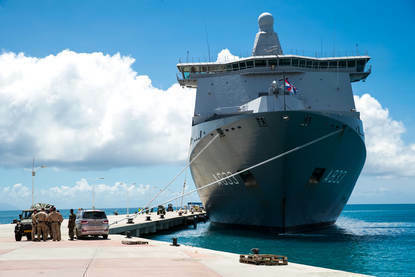 The Karel Doorman’s journey from the naval base in Den Helder to St Maarten took just 11 days.